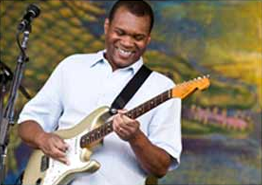 In 1987, Robert Cray was at the peak of his popularity. His most recent release, 1986's Strong Persuader, had crossed over to the Pop charts and had won him recognition worldwide, earning him a Grammy in the process. He made stylish music videos (basically unheard of for blues artists at the time, dozens of appearances on TV, including talk shows, commercials, the coveted musical guest spot on Saturday Night Live, and was in high demand as a live act as well. The sky seemed to be the limit for Young Bob. However, Don't be Afraid of the Dark, the follow-up to Strong Persuader, was a disappointment on several levels. I can remember being really excited to see it finally arrive in the record store, but a bit puzzled when I saw the sticker on the package that read "File Under Pop." Warning bells began sounding immediately, even before I removed the plastic wrapping. Trust me, it's NEVER a good sign when a blues record sports that sticker. While there were a few good songs.....the title track opening the disc is a great soul/blues track with strong backing from the Memphis Horns, and "Don't You Even Care," "I Can't Go Home," and "Acting That Way" are all solid selections.....you can't help but wonder if some of these songs would have even made the cut on his previous recording. Everything sounds either a little bit forced or just a bit off track. Every once in a while, I will still take this one out and give it a listen, but it still leaves me cold. Cray's next release, 1990's Midnight Stroll, was much better, with more of a focus on the soul side of the blues. 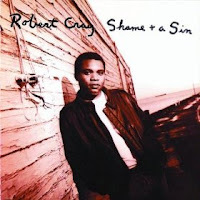 Cray's vocals, already a major factor in his success, were better than ever before as he ripped through songs like "These Things," "Move a Mountain," and "Bouncin' Back." There were also some great songs that were perfect fits to an already impressive repertoire, like "Consequences," "The Forecast (Call for Pain)," "The Things You Do To Me," and the funky title track. Apparently, with Don't be Afraid of the Dark, Cray and the band were physically and creatively spent due to the success of Strong Persuader, the subsequent appearances and demands in support of it, and the pressure involved with making the next release even better. With Midnight Stroll, the pressure was off and the band seems rested and relaxed and they sound fantastic. It definitely has earned a place in the upper echelon of Robert Cray recordings. 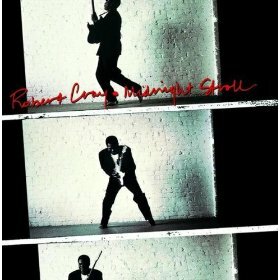 After Midnight Stroll, Cray decided to expand his sound within soul and blues, something a lot of others in his genre wouldn't do...messing with a successful formula. At times the results were mixed, as might be expected, but never boring. Take Cray's 1992 effort, I Was Warned. 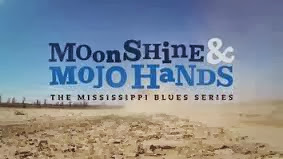 When the songs were good, such as the opening cut, "Just a Loser," with that great guitar break from Cray, or the Memphis soul sender, "I'm a Good Man," and the deep southern soul of "The Price I Pay," "A Picture of a Broken Heart" (co-written by Boz Scaggs), and "On The Road Down" (co-written by Steve Cropper), they were very good. However, the melodramatic title track left most people scratching their heads, and there were a few other songs that sort of faded into the background. Still, this was overall a solid effort with some nice performances by Cray and the band (who was now without bass player and longtime Cray bandmate, Richard Cousins). Shame & a Sin was Cray's next release, in 1993, and was the first Cray self-produced album. Guiding forces Dennis Walker and Bruce Bromberg was no longer a part of the Cray team, and the Memphis Horns were replaced by the Miami Horns. The majority of the songs for this release were written by Cray and his bandmates. There was a lot more emphasis on the blues, and Cray's songs are very good, including "1040 Blues," about having to pay taxes, "Some Pain, Some Shame," and several light-hearted songs as well, such as "Stay Go" (one of my wife's favorites) and "I'm Just Lucky That Way." 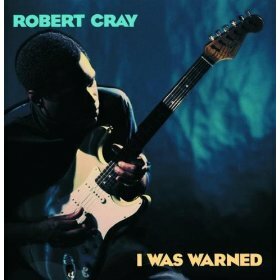 For me, the highlights were the harrowing "I Shiver," one of Cray's best songs ever, and a wonderful cover of Albert King's "You're Gonna Need Me," which featured some scorching guitar work between Cray and his mentor, Albert Collins, recorded only a few months before Collins' death. Cray's previous two releases had been considered too slick, smooth, and clean by many critics. Shame & a Sin has a rougher, edgier sound than his previous releases. If I were ranking his releases best to worst, I would put Shame & a Sin in the Top Five, around #4 or 5. (Okay, okay......my Top Five - 1. Strong Persuader, 2. Bad Influence, 3. Midnight Stroll, 4. Shame & a Sin, 5. Who's Been Talkin'). Cray's final two releases for Mercury, 1995's Some Rainy Morning (the Cray band w/o horns) and 1997's Sweet Potato Pie, were largely forgettable. Cray's performances were top notch as always, but the best songs were usually by someone else. On Some Rainy Morning, the highlight was Syl Johnson's "Steppin' Out," and on Sweet Potato Pie, the standout was an obscure Otis Redding tune, "Trick or Treat." Both of these recordings leaned more heavily toward the soul side of blues, nothing wrong with that at all, but the material was just not up to the standards of his earlier work. One of the better Cray originals was the sparse and soulful opening cut on Some Rainy Morning, "Moan." Cray and Mercury parted ways soon after Sweet Potato Pie. He landed at Rykodisc, where he had a bit of a resurgence, continuing to make subtle expansions to his style (Take Your Shoes Off is #6 on my list). Then he moved to Sanctuary Records, where he began to insert the occasional political commentary on a few songs, mostly protesting the war in Iraq. Currently, Cray records for Vanguard, where he has settled into a comfortable groove with his mix of urban blues and Memphis soul. No one does that better than he does. Though his star had faded a little bit, he is still considered one of the top draws on the blues circuit and one of the main reasons that many blues fans became blues fans in the first place. We will look more closely at this later period of Young Bob's career in a future post. There have been some pretty good releases over the past few months that you might have missed. This week, Friday Blues Fix continues its public service of making sure that blues fans don't miss out on any great new recordings, so here are a few capsule summaries of new discs. As always, more extensive reviews of these discs can be found at Blues Bytes either right now or in the coming months. 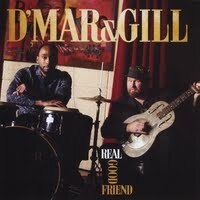 D'Mar & Gill - Real Good Friend (Airtight): Mississippi blues fans might be familiar with singer/songwriter/guitarist Chris Gill, who has been a mainstay of the Jackson blues and roots scene for several years. Gill has teamed up with percussionist Derrick "D'Mar" Martin, another Mississippian, who has played with Little Richard and currently fronts the local band, Nu Funk. 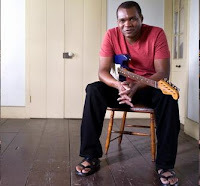 The result is a combination of Gill's Delta-flavored acoustic blues mixed with Martin's amazing African-based percussion work that breathes amazing new life into the blues art form. This was just a fun disc to listen to, and you'll find yourself playing it over and over again. I hope that this is not a one-time collaboration and that we will get to hear more from them soon. 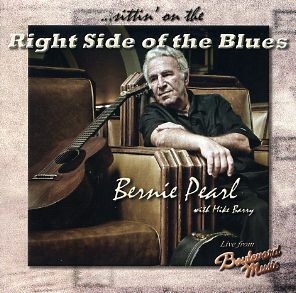 Bernie Pearl - Sittin' on the Right Side of the Blues (Major Label): If Bernie Pearl isn't a national treasure, he should be. For over fifty years, he's been a guitar player and singer, a DJ, a producer, and has led his own band. He's done as much as anyone to help keep the blues alive for over a half century. His latest recording is a live set, accompanied by bass player Michael Barry, recorded in Culver City, CA. Pearl does nine covers from artists like Lightnin' Hopkins, Mance Lipscomb, Son House, Mississippi Fred McDowell, and obscure Louisiana bluesman Herman Johnson, plus six originals that include a pair of dandy instrumentals and the autobiographical title track. If you like acoustic blues guitar, you'll be hard pressed to find a more satisfying disc than this one. 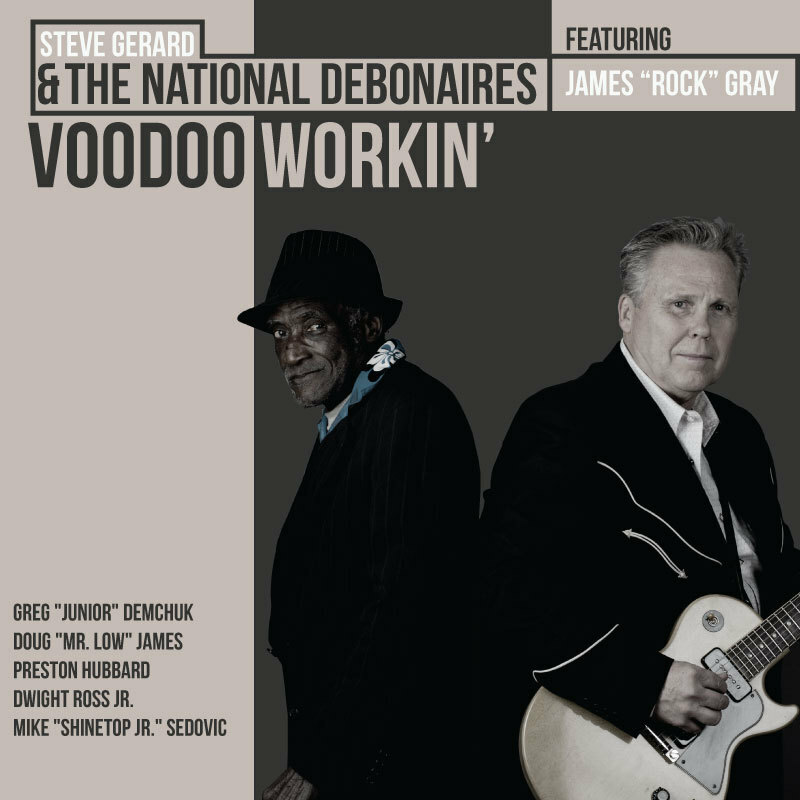 Steve Gerard & the National Debonaires (Featuring James "Rock" Gray) - Voodoo Workin' (Blue Edge): Gerard and band mostly focused on jump blues and shuffles on their first couple of releases, but they shift to southern blues and soul on their third album. 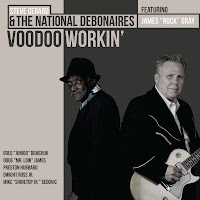 Relocating to Jackson, MS a while back, Gerard recruited local singer James "Rock" Gray to front the Debonaires. Gray is a versatile vocalist, easily handling swamp blues like Charles Sheffield's title track, Chicago blues, and even New Orleans R&B. Gray also penned three songs, which lean toward the R&B side of blues. The Debonaires are a tight group and faithfully update the classic sounds of 50's and 60's blues and R&B. Hopefully, this one won't slip through the cracks because it's a gem. Maria Muldaur - Steady Love (Stony Plain): Everybody is familiar with Muldaur's seductuve 70's pop hit, "Midnight at the Oasis," but the sultry singer has focused on the sounds of New Orleans since the early 90's. She has made some great recordings during that time span, but Steady Love may be her best yet. This disc is her first full-fledged tribute to the Crescent City. She does a wonderful job on covers of songs by Elvin Bishop ("I'll Be Glad"), Bobby Charles ("Why Are People Like That"), Sugar Pie DeSanto ("Soulful Dress"), and a wonderful version of Percy Mayfield's "Please Send Me Someone To Love." She also mixes in several gospel tunes for good measure (another great part of New Orleans music), including "I Done Made Up My Mind" and Rick Vito's "I Am Not Alone" (with Vito on slide guitar). Muldaur's vocals have become richer and huskier over the years ,which suits this material perfectly. 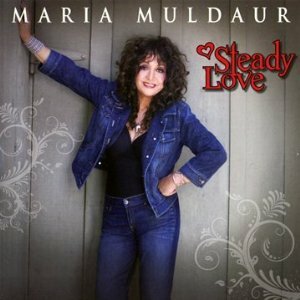 With Steady Love, Muldaur proves she's still one of the best singers of any genre. The blues world lost an up-and-coming talent this week way too soon. Colorado-based bluesman John-Alex Mason died from complications after outpatient surgery to remove cancerous tissue. He had been in a coma for about three weeks and was taken off life support earlier this week. He was only 35 years old and leaves behind a wife and daughter. 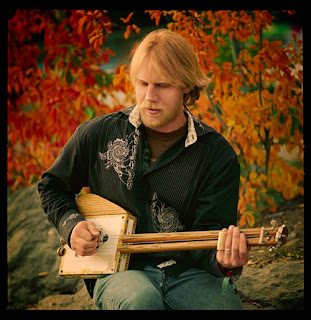 Mason was one of the most innovative of the recent wave of acoustic blues/roots guitarists. His last CD, Juke Joint Thunderclap, released earlier this year, is an amazing effort and well worth seeking out. I have fallen behind in recent years with my blues-related reading. There were so many great books that came out at the same time that I couldn't decide which ones to read, so I ended up not reading any of them. I still have lots of catching up to do. I would love to read the Howlin' Wolf and Little Walter bios that came out a few years ago, but I just haven't gotten to them yet. However, I was lucky enough to not only get an Amazon Gift Card for my birthday, but I also won another gift card at work, so now I could solve my problem and catch up on my reading. Only problem was that once I started looking, the same thing happened again.....where to start, where to stop, what to do. There were too many choices, too many decisions. I would put books in my shopping cart, then take them out, then put CDs in the cart, then take them out (yeah, yeah, I know NONE of you ever do this). Finally, after a month or so, I finally settled on a couple of blues-related books and neither one of them were the two bios I mentioned above (yes, I'm nuts....it's obvious). I don't think I could have made any better choices though. See what you think. Texas Blues: The Rise of a Contemporary Sound - by Alan Govenar: This weighty tome clocks in at 600 pages and is pretty comprehensive....at least as much as one of these books can be. 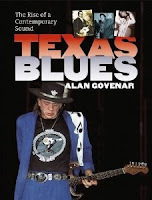 Back in the late 80's, Govenar published a book called Meeting the Blues, which was a collection of interviews and short articles with and about various Texas blues musicians, going back to the early 30's up to the present time (then, the mid 80's). The earlier book covered a lot of the same musicians that are present in Texas Blues. In fact, some of the interviews from the earlier book are also present in the newer edition, but Govenar has greatly expanded his scope, including musicians from all over the Lone Star State. 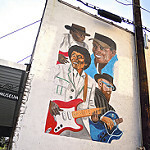 There are sections devoted to the Dallas/Fort Worth, Houston, San Antonio, Beaumont/Port Arthur/Orange, and Austin scenes, along with other areas, and also sections about Zydeco, the Texas guitarists who electrified blues guitar (Eddie Durham, Charlie Christian, and T-Bone Walker) and those who migrated to California (Walker, Lowell Fulson, Pee Wee Crayton), and the many Texas sax players (Henry Hayes, Henry "Buster" Smith, Grady Gaines, Eddie "Cleanhead" Vinson). 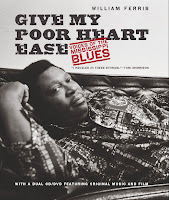 It's loaded with interviews and stories about all the familiar faces of Texas blues, such as Lightnin' Hopkins, Freddie King, Johnny Winter, Delbert McClinton, Johnnie Taylor, Johnny Copeland, Albert Collins, Blind Lemon Jefferson, and Stevie Ray Vaughan, and many less familiar faces, such as Zuzu Bollin, Texas Johnny Brown, Big Walter Price, Robert Ealey, Summer Bruton, Alex Moore, Tutu Jones, and many others. There are also some great, seldom-seen photos of many of these artists, mostly taken by Govenar over the past forty years, and a great bibliography section that will help you to be able to read or hear more from these artists if you're so inclined. 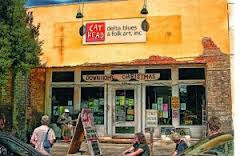 Texas Blues was a great find and will open your eyes to the amazing diversity of the Lone Star State's blues scene. 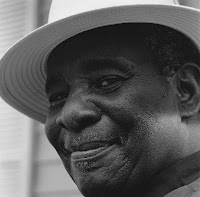 Dr. Bill Ferris was one of the first blues scholars that I was familiar with. In the late 80's, Dr. Ferris hosted the Highway 61 radio program on Mississippi Public Radio on Saturday nights from ten until midnight. At the time, it was the only blues I could find on the radio where I lived, since this was all long before the days of 24-7 satelite radio. Dr. Ferris not only played the blues, he talked about them, too, so I was able to learn a lot about these new artists I was hearing. It was almost like a two-hour seminar every weekend, and I rarely missed a weekend. Years ago, Dr. Ferris authored Blues from the Delta, a book which pretty much served a lot of blues fans as a textbook for Mississippi Delta Blues, and should be a permanent part of any Delta Blues fans' bookshelf. 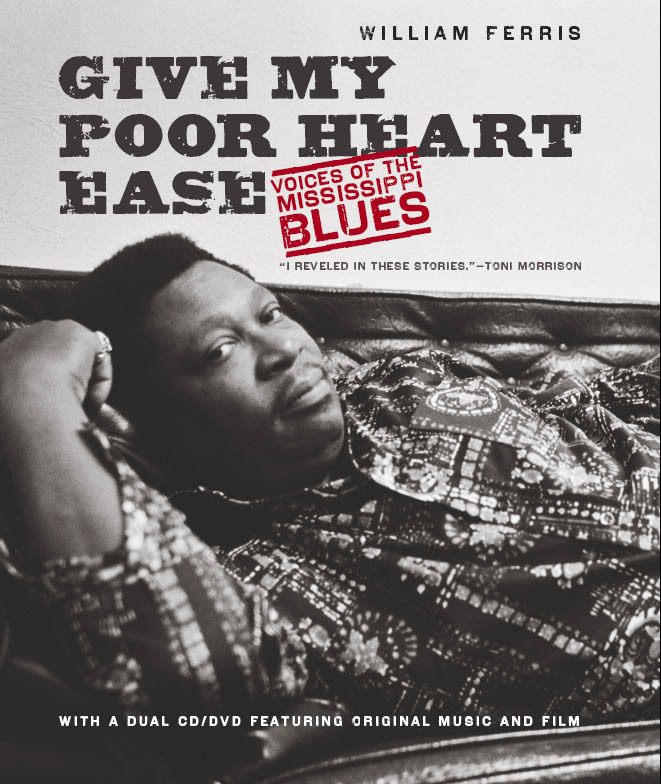 However, he has topped himself with his latest work, Give My Poor Heart Ease: Voices of the Mississippi Delta Blues. This new book features several interviews with Mississippi artists describing in their own words their lives, their music and it's origins, and their culture. This is the blues from it's very source, as pure as it gets, from people like Otha Turner, Scott Dunbar, Lee Kizart, Son Thomas, Rev. Isaac Thomas, and B. B. King. Ferris also describes typical church services and house parties. 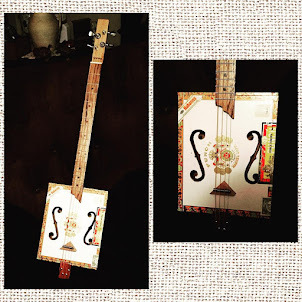 The stories in the artists' own words are simply incredible and bring the blues to life. There's also an exhaustive bibliography that lists essential books, articles, CDs, DVDs, and websites. As if the book wasn't enough of a treasure, Ferris also includes a CD of interviews and recordings (including songs by Dunbar, Kizart, Turner, and Son Thomas, and a DVD of his movies, which feature Thomas, King, and even a group of prisoners from the prison at Parchman. Folks, there aren't a lot of books on the blues that you really, absolutely, positively must have, but this is one of them....no question. It's a book you'll be going back and revisiting for years to come. We all have albums that we bought years ago that still put a hop in our step today when we listen to them. Over the years, as I hear more and more blues recordings, it seems like that happens less and less, but when I first started listening some twenty-five or so years ago, it was a fairly regular occurrence. One of the first blues labels that I discovered and came to love was Black Top Records, out of New Orleans. I picked up a couple of their recordings at JazzFest one year....I think one of them was Earl King's recording with Roomful of Blues (after seeing them on stage the same day) and the live Neville Brothers release that helped put them, and the label, on the map. 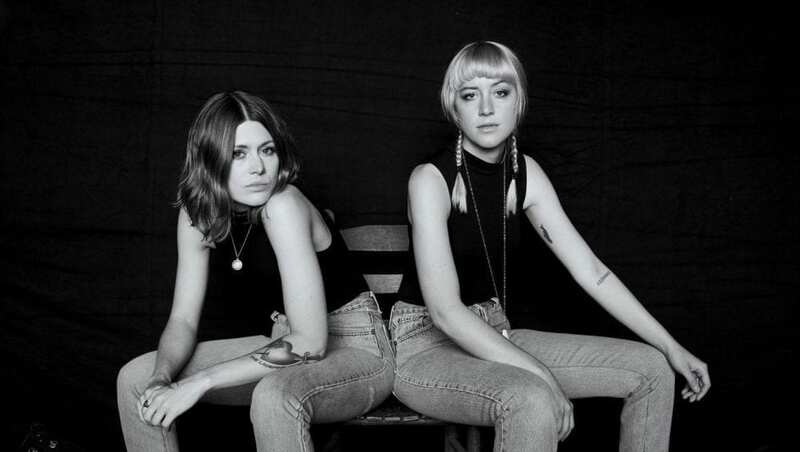 I had fallen in love with the New Orleans R&B that the Nevilles did so well, and as a result, picked up on several other Crescent City artists in the process. I continued to buy up Black Top recordings as they were released, enjoying each and every one of them. One cool thing that label owners Hammond and Naumann Scott started doing was to track down many of the artists from Louisiana and Texas that played on the great blues and soul recordings of the 50's and 60's for Duke and Peacock Records. This really opened my eyes and ears to some great sounds because a lot of these artists, even though most of them hadn't recorded in over twenty years, still sounded great...because even though they hadn't been making records, most of them had never stopped performing. We will look at Black Top Records in a future post. 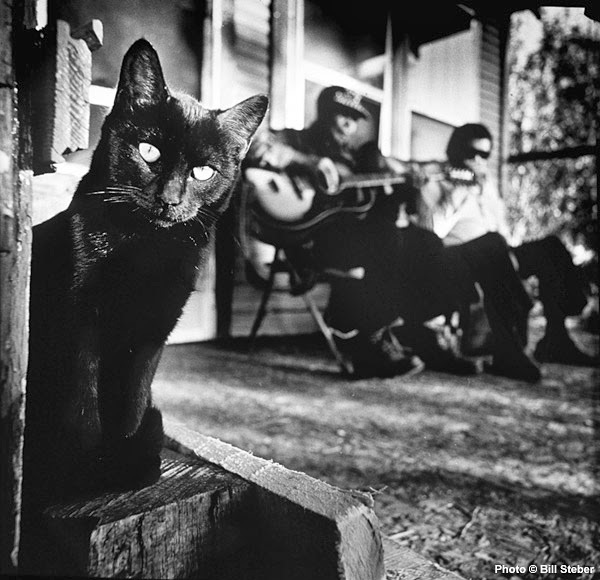 Today, I want to focus on one of their recordings in particular.....one of my all-time favorites, Gulf Coast Blues, Volume 1. This disc was released, with little fanfare, in 1990. 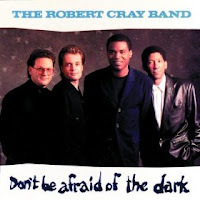 It featured two of the label's recording artists, Joe "Guitar" Hughes and sax man Grady Gaines, plus a couple of the label's supporting artists, taking center stage for the first time.....piano player Teddy Reynolds and guitarist Clarence Hollimon, along with his wife, R&B singer Carol Fran. Fran and Hollimon have a cool story. They first met and dated in the late 50's, when she was a singer for Excello Records with a hit record, "Emmitt Lee," to her credit. 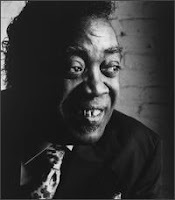 Hollimon had previously played guitar for Big Mama Thornton, but was now backing Bobby "Blue" Bland on several of his recordings for Duke Records. 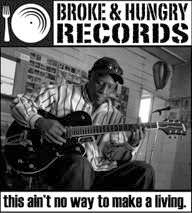 They eventually went their separate ways, Fran continuing to record for multiple labels and serving as vocalist (sometimes teaming with another future Black Top all-star....James "Thunderbird" Davis) in Guitar Slim's band, and Hollimon in demand as a session guitarist for Bland, Junior Parker, and others. The pair reunited in 1982 and this time around, sparks flew and the couple were married and began performing together. At the time of Gulf Coast Blues Volume 1, Hollimon had already appeared on several of Black Top's recordings, but Fran had been away from the studio for awhile, frustrated by lack of success and too many great recordings that never were released. On this release, they shined on two tracks, a bouncy "Everyday Is Not The Same," where Fran sang lyrics in English and French, and this remake of "Emmitt Lee," featuring some of Hollimon's wonderful guitar. Fran and Hollimon eventually made two recordings for Black Top, plus one more for JSP several years later, just before Hollimon passed away in 2000. Fran has continued to perform and record, despite suffering a serious stroke. She recovered sufficiently enough to resume performing last year. Joe "Guitar" Hughes had released an album for Black Top, called If You Want To See The Blues, in 1989. 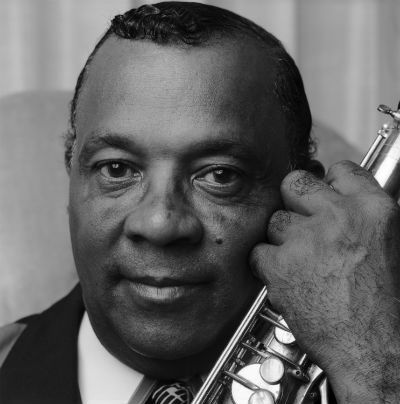 Hughes got his start in Houston in the early 50's, teaming up with Johnny Copeland in the Dukes of Rhythm. He later joined up with Bobby Bland's orchestra in the mid 60's and later with Al "TNT" Braggs. Though not as well known as Copeland, or another comtemporary, Albert Collins, Hughes was a fine guitarist in the great Texas tradition and a more than capable singer. 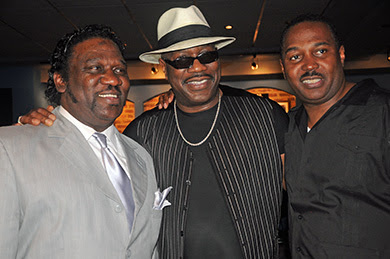 Like Fran and Hollimon, Hughes got a pair of showcase tracks, the slow blues, "Apron Strings," and the funky "Miss Too Fine" (heard below), which contains the immortal line, "I hope you not bettin' on / What you sittin' on." Hughes continued to record throughout the 90's, most notably a set from Bullseye Blues (Texas Guitar Slinger) before passing away in 2003. Grady Gaines was an original member of Little Richard's Upsetters band, appearing in three movies with the rock and roll legend (notably on The Girl Can't Help It, where he soloed atop Richard's piano).﻿﻿ After Little Richard left rock and roll for the church, Gaines continued to lead the Upsetters throughout the 60's. 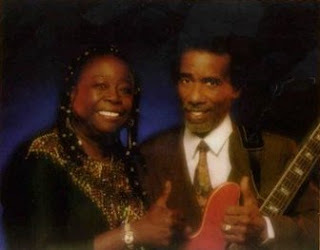 Prior to Gulf Coast Blues, Gaines had released a stellar album for Black Top, called Full Gain, that featured Hollimon, Houston singer Joe Medwick, and Gaines' legendary brother, guitarist Roy Gaines. 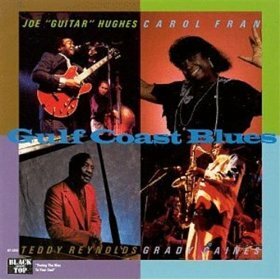 Gaines' contribution on Gulf Coast Blues was a pair of roaring instrumentals that concluded Side One and opened Side Two (back when recordings had "Sides"), with Hughes and Anson Funderburgh trading guitar solos. Gaines wasn't even supposed to be recording his own music for the album, but he talked his way onto it, which worked out great for us listeners. T﻿﻿﻿﻿eddy Reynolds enjoyed the remainder of the disc all to himself, with four tracks. Reynolds, like the rest, came up the hard way, appearing with Little Richard and the Upsetters, and later played with Bobby Bland, Albert Collins, Clarence Green, B. B. King, and Johnny Copeland. He was also a regular session player for Duke and Peacock in the 50's and 60's, before leaving the business to work in construction. He returned to performing in the mid 80's, appearing on both of Grady Gaines' Black Top recordings. On Gulf Coast Blues, Reynolds showed that he was quite a gifted songwriter, and a vocalist with chops that were at times similar to Lightnin' Hopkins. He got the lion's share of tracks on the disc with four excellent sides mixing Texas blues and soul in equal parts. He was best known during his later years for his commercials for Blue Bell Ice Cream in the 90's. He passed away in 1998, after one last recording session with Texas Johnny Brown. You might have noticed that the actual name of the subject album was Gulf Coast Blues Volume 1. Don't bother searching for Volume 2, because it never happened, which was a shame. I was dying to hear more of this great music back then, but thanks to Black Top, there's was still plenty to be heard for a few years to come. Simply put, if you like southern blues and soul like they used to do it, you will love this CD. It's out of print, but not too hard to find, and Amazon actually has it in mp3 format. So what are you waiting for???!! !